The highshoulder rims are available to the dimensions 3.00×18”. 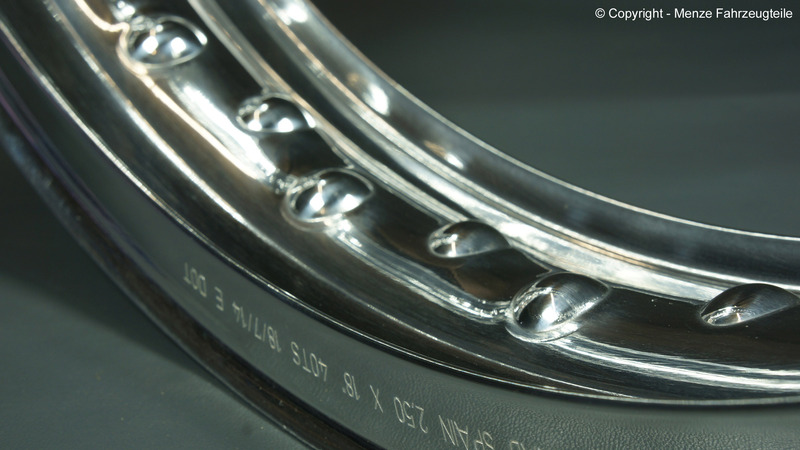 The Morad rims are identical to the Akront rims because of acquisition. The Akront rims were always a copy of the Borrani rims. We have many customers who provide themselves from the aftermarket with drilled rims, but that often ends up with a disappointment because the drilling pattern is ignored. These classic motorcycle rims are a “must have” for the old racer style and an eye candy at every restoration project. Raw polished aluminium still has a magical attraction. We can also offer the Morad flatshoulder rims with TC-profile. The TC-profile corresponds with Sanremo. The TR-profile is no longer being built.